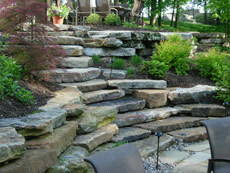 Located in the heart of the midwest in Evansville Indiana, near Illinois & Kentucky, Aching Acres is a landscape contractor specializing in designing and building natural stone landscapes and hardscapes, mulch blowing, pondless water features, lakesides, landscape design and architecture, and green/sustainable design. 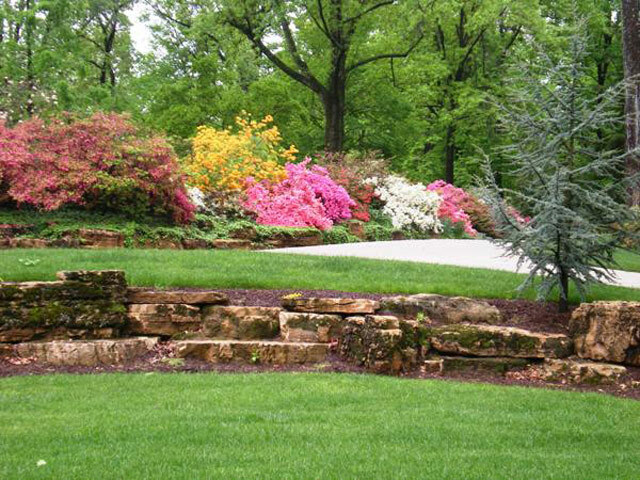 Natural stone landscaping projects are our specialty. We use the finest limestone, sandstone, ledgerock and other stone materials to produce the highest quality landscapes with a natural appeal and beauty, creating a rich and relaxing environment for your own private outdoors. 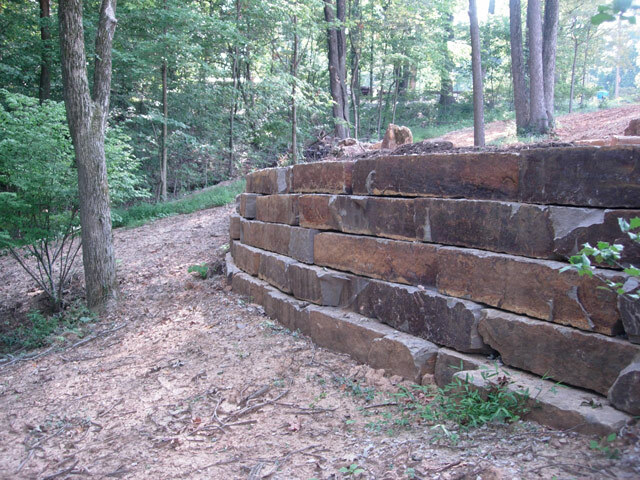 We specialize in massive ledge rock and boulder projects, walls, water features and more. 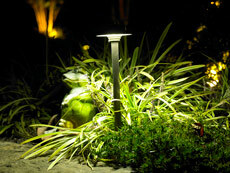 We are experts in exterior landscape lighting from design to install. We believe in a strong personal relationship with our customers. As part of that, we continually update this Work in Progress photostream for our customers to check in on the work being done at their location. Our Evansville Indiana mulch facility supplies the greater tri-state area with the highest quality dyed hardwood mulch available. We offer mulch blowing service, as well as bulk mulch delivery and mulch pick up. Call us today for pricing and scheduling.